We like having fresh rolled cavatelli on our dinner menu, but can’t seem to find a roller that is resilient enough to last more than a few batches. About a year ago we purchased a vintage roller and haven’t had any issues since! We just got another backup roller that came in some really funny, though maybe not politically correct, packaging. 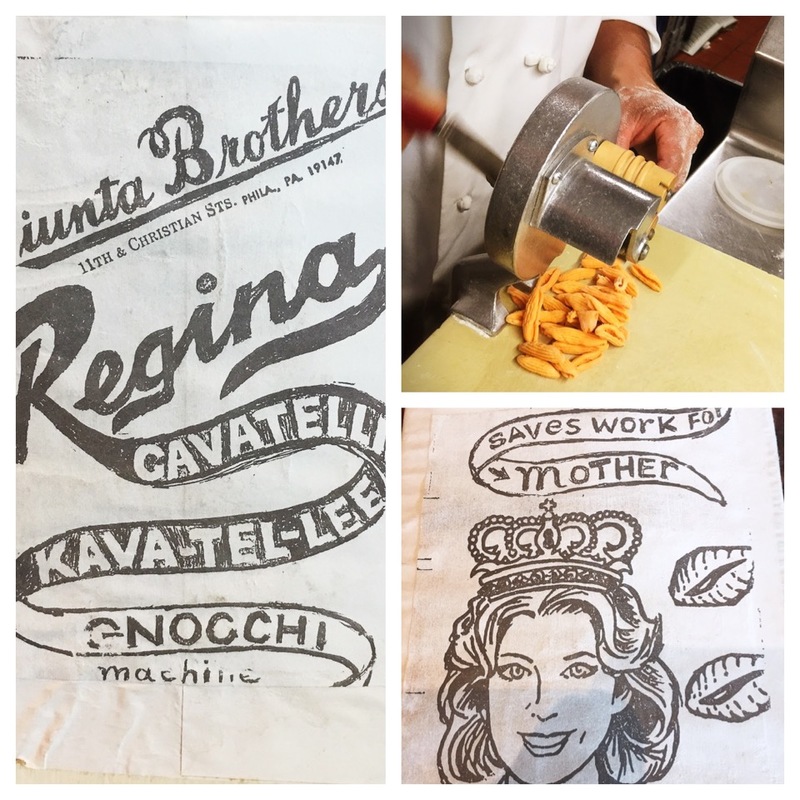 Today it's hard to imagine a time in America when families were actually making fresh cavatelli for dinner. I love making homemade cavatelli, but it's very laborious doing it by hand. I can't afford a commercial pasta extruder. Can you clue me in as to where you found this gem? 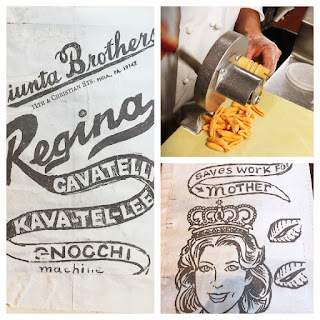 I absolutely love vintage pasta machines. My partner and I are looking forward to dining with you in 2016 when we can afford a trip to Big Sur! Thanks for your comment Nathan. I always keep an eye on Ebay for the Regina cavatelli rollers. You can often pick them up for $25-30 dollars- a great price I think! Good Luck! Thanks chef. I did a little hunting and I found a vintage cavatelli maker on eBay, though it seems to have garnered a few peoples attention. Would you have any recommendations if I were to look towards a commercial pasta extruder? I probably wouldn't be able to drop more than $3,000, but I wonder if you know of any machines below four figures that work extremely well? Hi Nathan- We have an extruder, but it is pretty pricey and really slow. I think that most of the higher end extruders would work well for a home setting, but for a restaurant its difficult to find one that keeps up with production. Yeah, that's my concern with the extruders. I'm hesitant to drop three grand on something that won't produce fast pasta, and I am interested in producing volume for a side project. On the upside, I got a very old school cavatelli maker, looks completely brand new with the original packaging. Looking forward to a little pasta making this weekend. You should really get this blog promoted, the content is fantastic. Seems like you're putting out food that I would expect in a 3 michelin star restaurant, and the resourcefulness, creativity, foraging, local sourcing, is all incredible. Looking at booking a weekend in March to visit!